In a hospital, nurses often see the problem first. And Pam Taurence is no exception. Day after day, Pam and her colleagues at Children’s Hospital of Michigan treated kids who were struggling with food insecurity and saw the devastating effects that it had on their health. As the chair of the Professional Nurse Council (PNC) at Children’s Hospital, Pam challenged herself and fellow PNC members to address this problem not only for their patients but for all of the children living in food-insecure households in Detroit. The nurses knew that summer was particularly challenging because kids could no longer rely on their schools for meals. So in June of 2010, the Cereal Drive was born. In its first year, more than 160,000 servings of cereal were donated to Gleaners Community Food Bank for area children. 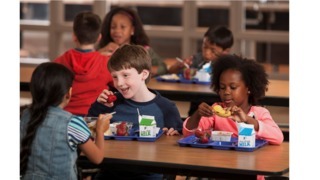 Since then, 15 other pediatric hospitals have joined in the fight against hunger and Tenet Healthcare has adopted this initiative company-wide to address the importance of eating a healthy, well-balanced breakfast every day. 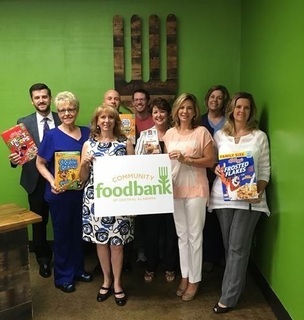 In 2015, the newly named “Healthy Over Hungry” Cereal Drive collected a staggering 2.6 million servings of cereal and $75,000 for more than 70 of Feeding America’s local food banks and distribution partners. Thanks to Pam’s perseverance, the program’s success has been overwhelming! Pam’s remarkable efforts were recognized in 2014 when she was named a Tenet Hero Hall of Fame inductee, one of the highest honors that can be awarded to a Tenet colleague for extraordinary service. In 2017, the cereal drive is growing even more. Thank you to all who have and continue to make the “Healthy Over Hungry” Cereal Drive a success. Walker Baptist is striving to engage the community in feeding our children that are going hungry. "Feeding the children in our community"
Our goal is to ensure that as many children in Central Alabama are able to start their day with a nutritious breakfast. We are joining together to provide healthy food for the children in our communities because breakfast doesn’t take a summer vacation. We are about positivity, action, and results.